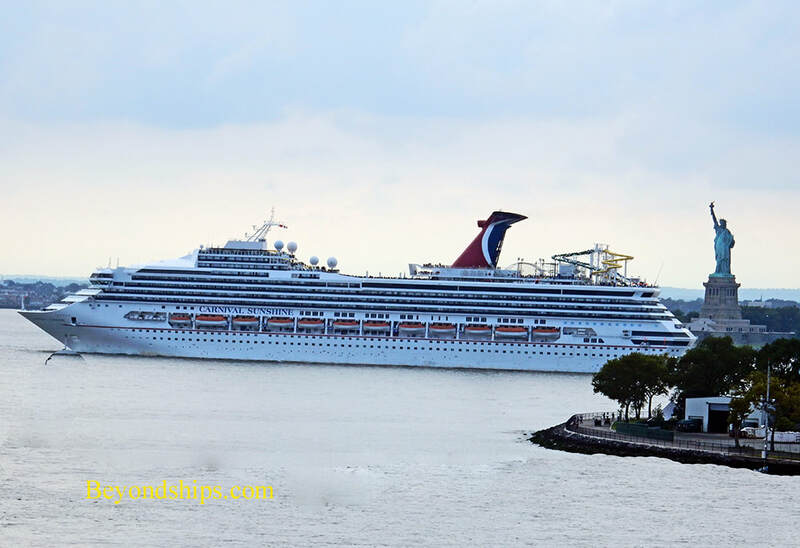 In this pictorial, we present some of the cruise ships that have been seen over the years in New York harbor. 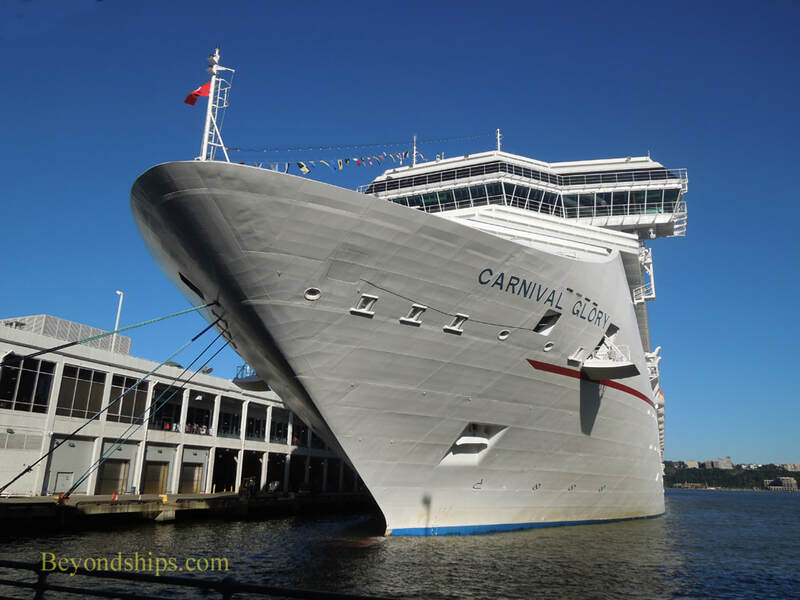 This page focuses on the ships of Carnival Cruise Lines. 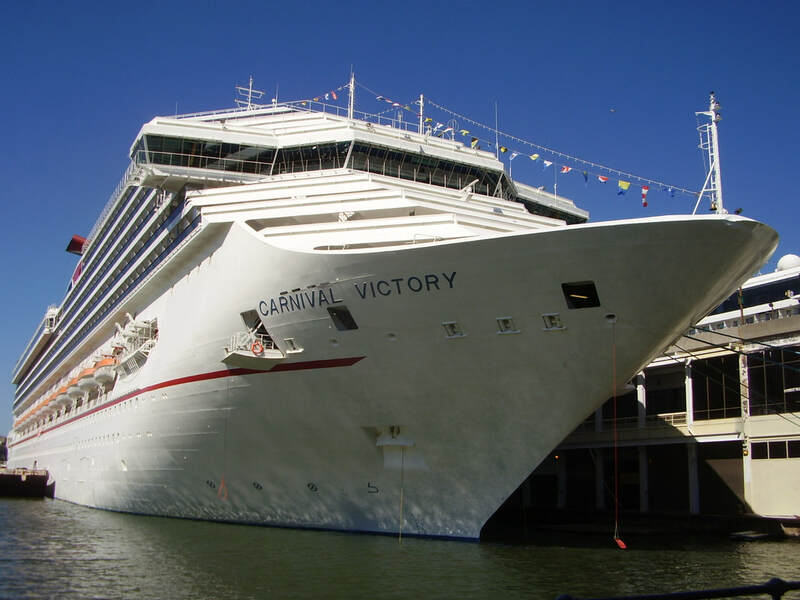 Carnival Victory (above) was based in New York for several years, for much of that time in tandem with Carnival Miracle (right). 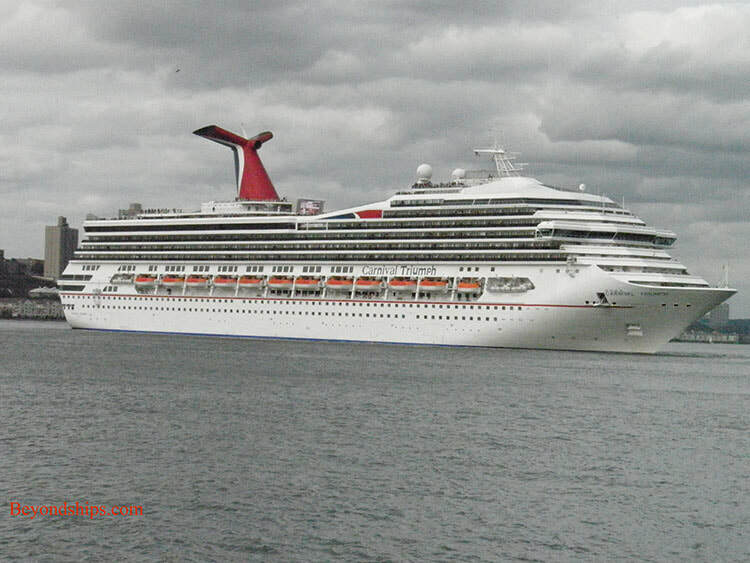 Above: Carnival Triumph backing out of her berth at the Passenger Ship Terminal into the North (Hudson River). 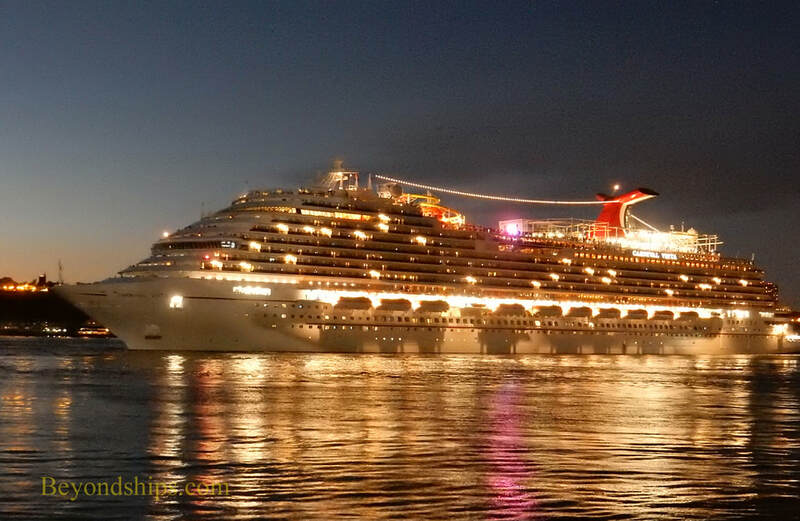 ​Below: Carnival Splendor executing the same maneuver. Above: Carnival Glory at the Passenger Ship Terminal (aka Manhattan Cruise Terminal). 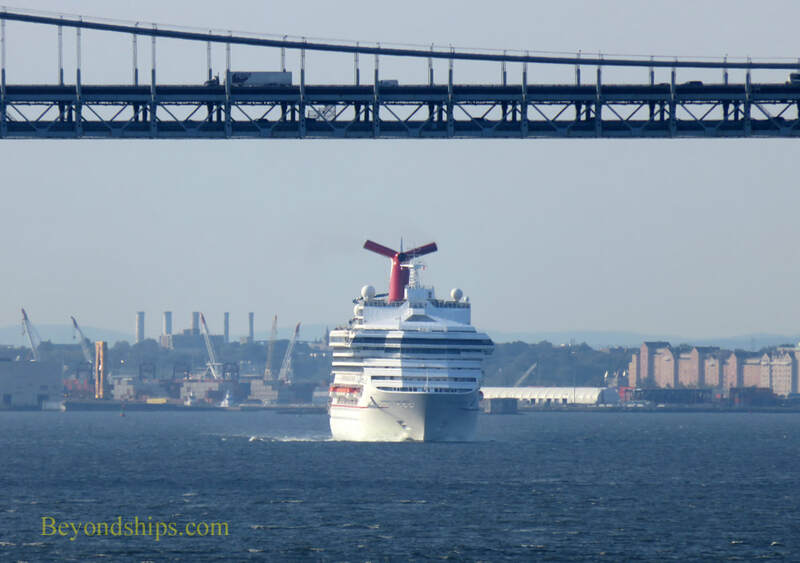 Below: Carnival Sunshine passing under the Veranzano Narrows Bridge at the entrance to New York harbor. 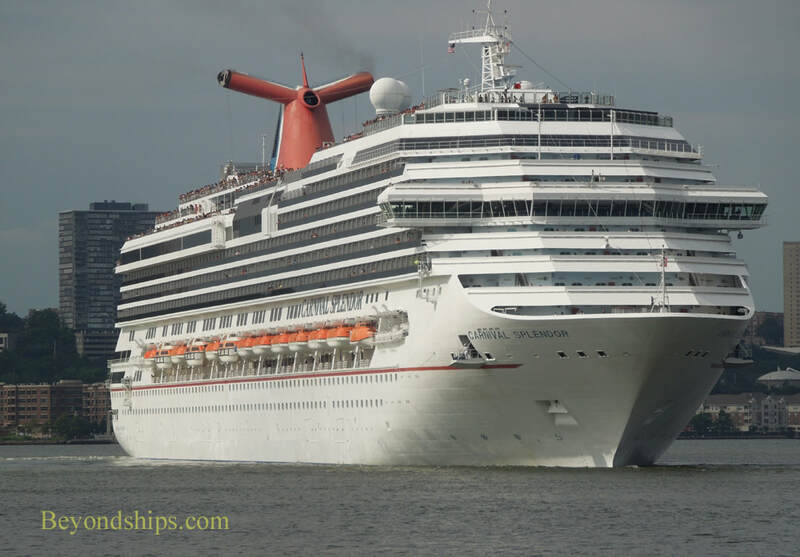 Several Carnival ships have come to New York for their naming ceremonies. 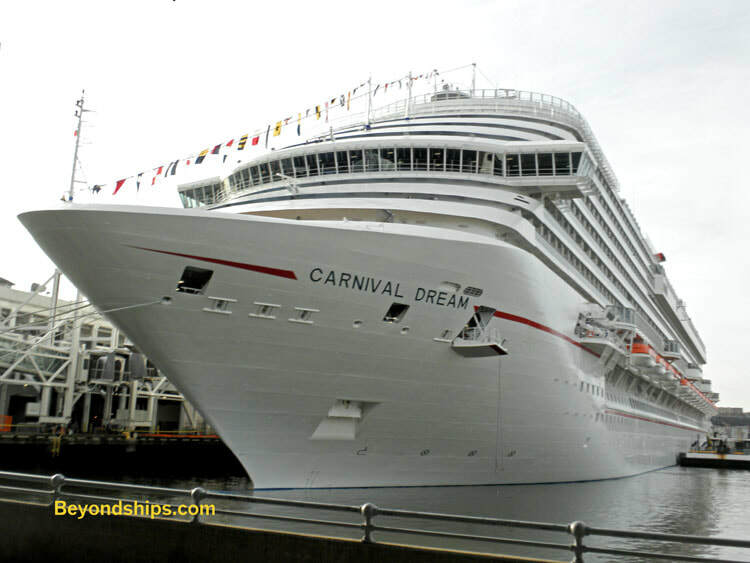 Right: Carnival Dream at the Passenger Ship Terminal for her naming ceremony. Below: Carnival Vista in New York Harbor following her naming ceremony. 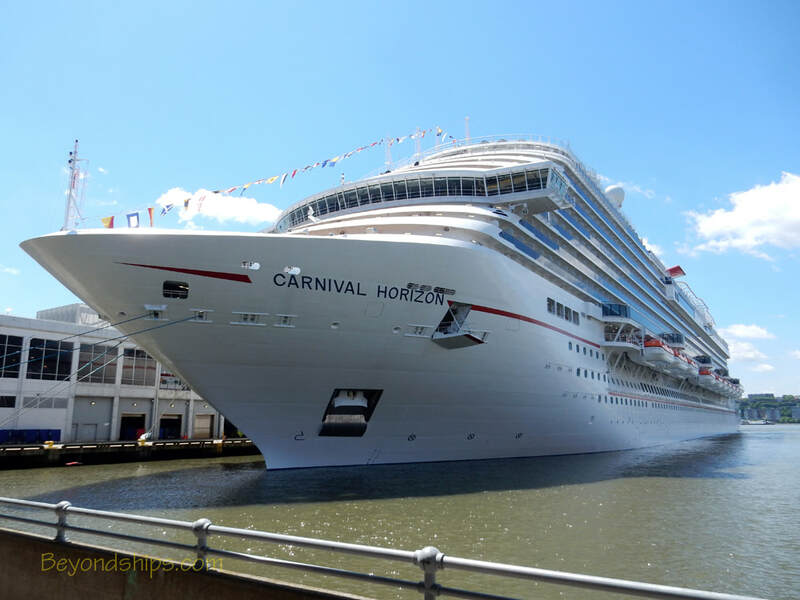 Right: Carnival Horizon was officially named in New York and stayed on to be the line's New York ship during the summer of 2018.